Did we mention that it's expensive? A Sprinter 4x4 with all-terrain tires may be the ultimate exploration vehicle. A veritable Swiss Army Knife that looks like the box it came in, the Mercedes-Benz Sprinter offers something for just about everyone. The Mercedes-Benz Sprinter van is one of the most flexible and highly-configurable vehicles on the market. It's as versatile for commercial users as it is for adventurers. It's a costly hauler, but it feels worth every bit of its price of entry. 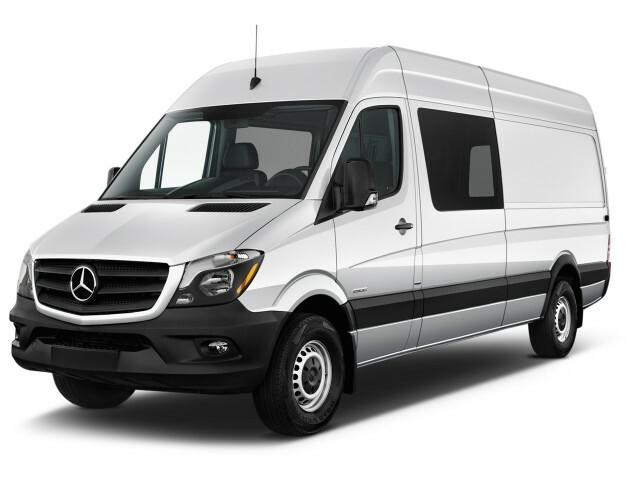 The Sprinter is available as a cargo van, a crew van, a passenger van, and a cab chassis. Several different wheelbases are also on offer. For the purpose of this preview, we're focusing mainly on the passenger variants. 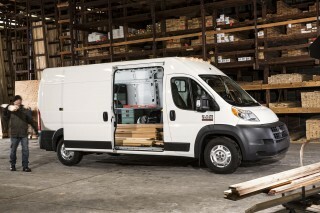 For 2017, a new Sprinter Worker trim level is on offer. Unlike the rest of the lineup, the Worker is only available in a handful of configurations with few options; it's designed to make ordering easier for commercial buyers. 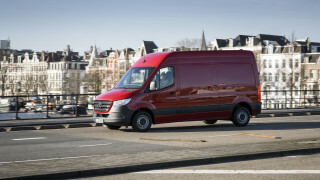 There's no denying the fact that the Sprinter is a big, boxy van that emphasizes practicality over sleek lines. However, some crisp styling touches here and there help it look a little more upmarket and cohesive than its rivals, especially the awkward Nissan NV and the Ram ProMaster. Inside, the Sprinter's switchgear and basic design aren't all that far removed from the the automaker's passenger cars—and that's a big compliment. For delivery drivers and workers who spend a lot of time behind the wheel, the Sprinter is well thought-out and has many luxury-grade options—at a price, of course. 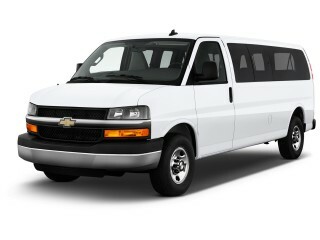 While most sprinters are rear-wheel drive, the model is also now offered with a pushbutton four-wheel drive system. So-equipped Sprinters are generally intended for either severe duty commercial use (think package delivery in rural Montana) or for consumers interested in "overlanding" (think big budget car camping and exploring). 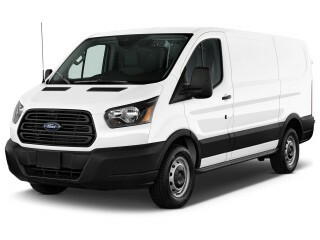 The Sprinter line comes standard with a 2.1-liter turbodiesel 4-cylinder rated at an impressive 265 pound-feet of torque. For urban use, this engine is ideal as it's relatively thrifty and provides decent thrust. But for highway driving or heavy hauling, we recommend the optional 3.0-liter V-6 turbodiesel engine, which generates 188 horsepower and 325 pound-feet of torque. A 7-speed automatic gearbox is included with all models. On the four-wheel drive model, the body is lifted by 4.3 inches in the front and 3.1 inches in the rear, increasing ground clearance to afford 20 percent high slope-climbing ability. Activation of the system requires a simple button push, which also activates the 4ETS electronic traction system with load-adaptive ESP to help improve its tractive ability. A low-range gear is an optional add-on that further enhances rough terrain tenacity. This is no mere all-wheel drive system intended solely for light snow traction. 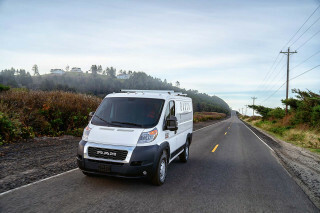 Like its Ford Transit and Ram ProMaster rivals, the Sprinter is available in a dizzying array of configurations. You'll want to spend a good bit of time working with your dealer to configure one for your needs, unless you opt for the easy-to-order Worker model that's only available in white and has a limited number of options. Bodystyles, depending on trim and engine options, include either a standard or high roof and a choice of 144 or 170-inch wheelbases. 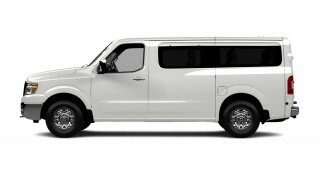 One of the more interesting body configurations is the crew van—it combines two rows of seats (including seating for five) with plenty of cargo room behind the passenger compartment. Options range the gamut, but one worth pointing out is the Active Safety Plus group that includes automatic emergency braking. That's something that could be especially valuable in an urban area, as it can apply the Sprinter's brakes to reduce the severity of an accident if it detects an impending collision. At about $1,800 for the package, which also includes a blind spot monitor, a system that nudges a drifting Sprinter back into its lane, and a few other valuable items, it's something of a bargain. That said, it's not a challenge to pile on $15,000 or more worth of options onto a Sprinter, so shop carefully.